Choose us because of our reputation for excellence. For more than 6 years, we’ve earned a name for quality and customer service. 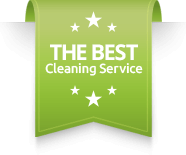 The clients we serve rely on us for detail-oriented, consistent cleaning services, every single time we clean their homes and businesses. A home or a business premises is not a self-contained property — there are many different chores and jobs you will have to take care of if you are going to keep this property looking and performing at its best. And, way at the bottom of this chore list, has to be gutter cleaning. No one wants to spend their time cleaning out the gutters on their property, and yet it needs to be done. There are some things which are best left to the experts. Tile and grout cleaning is one of those things. Rather than wasting time sourcing tile cleaning equipment for yourself, carefully planning your job and preparing your space, and carrying out the work on your own, just get in touch with Carolina Pro Clean. Spare a thought for your upholstery. Day in, day out, it is your upholstery that must stand up to the most punishment as you and your guests use your home space. Whether we are dealing with a comfortable recliner that gets a little bit more use than the other pieces in your living room, or an upholstered dining set which has hosted a few too many lunches, it’s important to give your upholstery the care and attention it needs.